There are many different things to get your career off the ground once you secure job placement. Some of this can be done before you even start ("Transition: Resident to New Practitioner") in preparation while other items can be done after day one, and some things you should always be doing, especially in the first 3-5 years of practice. 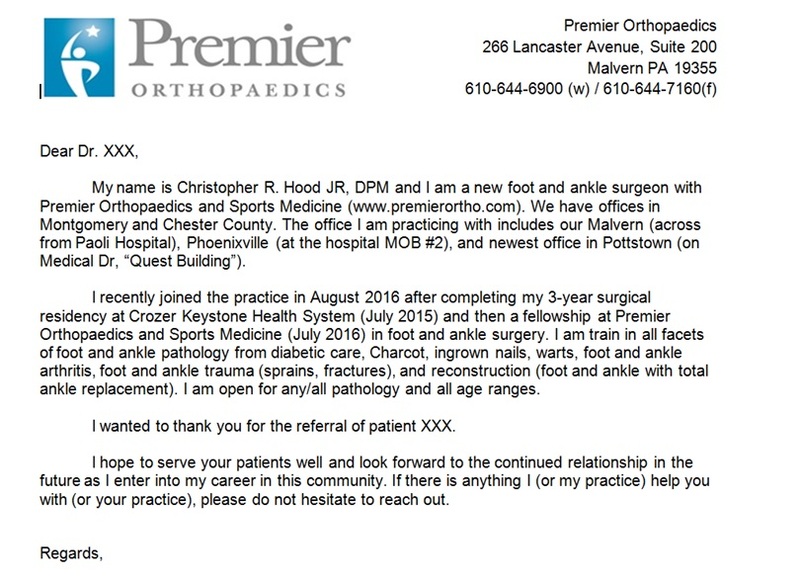 Although a new practitioner, I have done a lot in order to build and market myself within my practice to my local community, and have tried to do a lot of background work to help my day go by smoothly while making my patients happy and informed. I have lectured on this topic at the APMA National and to local residency programs, while also writing about it in Podiatry Today. Much of this is not a secret, but common sense things you should not just reflect upon, but actively embrace. CME, and other pages to come. Another website found with a similar vision for new practitioner education is the Institute for Podiatric Excellence and Development (paid membership required). > Learn your new EMR; create smart-phrases and templates for commonly treated items. > Review common medications you may prescribe. You probably did not write for many topical anti-fungals, steroids, keratolytics, etc in residency, but will in practice. Create a quick go to "med list" for reference. Also, know something about the medications like cure/clear rates for anti-fungals for example (topical Penlac/Jublia vs PO Lamisil). > Pathology - Consider common pathology you will be treating both office and surgically (e.g, onychomycosis, DM routine care/evaluations, warts, plantar fasciitis, toe fractures, ankle sprains, bunions, ankle fractures, etc) and create a general guideline of treatment. This way at visit 1-2-3, you know exactly what to do. Some of this may be based on experience, but reviewing common practice guidelines and current literature will assist in formulating your treatment plan. --> Good resources include published ACFAS Clinical Guidelines and Foot and Ankle Specialist journal Roundtable Discussions (peer discussions about a topic with treatment recommendations published every few months). Sometimes practices will have a "treatment handbook" to help guide treatments so that each clinician follows a similar pattern which helps with patient treatment if patients see a different physician for follow-up. --> Create patient handouts. This can include pathology information for commonly treated issues, protocols for patient self-care (e.g, s/p PNA or wart office procedure); general post-op guidelines;, or referral lists with local physicians information for easy access (e.g. wound care center with location/address, hours, phone numbers, and physicians names). This goes a LONG way in both convenience to you when needed and patients love handouts/instructions. ​ > Know the local geography - this helps show the patient you are invested in the area/community you are now part of. Know the names of local towns, landmarks, etc, where your office draws from. ​ > Find targets for referral. 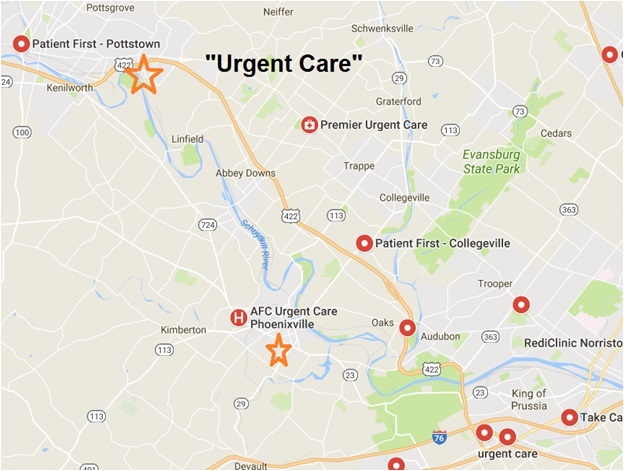 I found using ﻿google maps﻿ (orange star = office locations) and searching the terms below and/or looking through your local hospital directory was the best way to create a list. From this, I created a spreadsheet so that I could (a) send them all a "welcome card" with information about me, (2) keep track of how many referrals they sent (to see if I need to work harder on a target if referral was low), and (3) have a quickly accessible way to get their information to send/fax a "thank you/patient update" letter for any new referral (done the first 2 years of practice). --> Bring: CV, business cards, practice handouts, etc. --> Give: Your cell phone number. Tell the doctor to call/text if they think someone needs to be squeezed in urgently and you will accommodate them. > Update your online presence. This includes office website/facebook as well as any profile on Healthgrades, Linked-In, etc. You will often also read about the 3 or 4 A's of a Medicine. > Probably the most important when starting out. You should be at your office from 8a-5p regardless if there is 5 or 15 patients on your schedule (never know who will walk in), giving your cell phone out to local referral bases, staying local during the weekends (ED calls, etc), and accommodate not just your patients but your associates/partners/boss. Affordability - Try to keep the cost down and appropriate. Perseverance: “Stuff happens” and you're gong to have to roll with the bumps and bruises along the way. 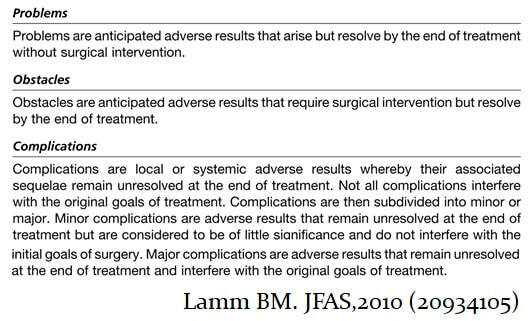 One thing I found helpful was to consider different issues as "P.O.C.’s”, a phrase/concept originally formulated by Dr. Dror Paley in an article about limb lengthening, (and also brachymetatarsia), which I find applicable here. Have some perspective about the issues you may encounter - they all aren't the "worst things in the world" but have varying consequences and side effects. Continue to roll with the punches and push forward to the end you want to reach. ​ > Create (easy to recite/remember) a work email. Keep your personal and work mail separate for organizational purposes. --> Update your email signature with office information, hours, website, twitter, etc Use hyperlinks when appropriate. ​ > Twitter? Facebook? Personal Website? LinkedIn? - You may want to venture into one of these tools. * Make sure to check out the section on this. ​To Read: Collection of articles to read about practice management. "Are you unintentionally driving away patients" by Jolynn Tumolo. Podiatry Management, October 2017. "Seven deadly sins of a medical practice" by Neil Baum, DPM. 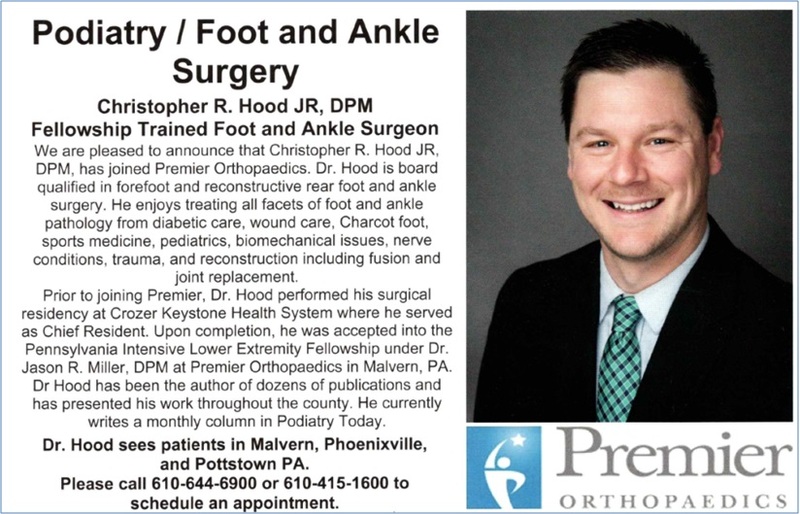 Podiatry Management. February 2018. "Are you losing patients?" by Mark Terry. Podiatry Management. April/May 2018.